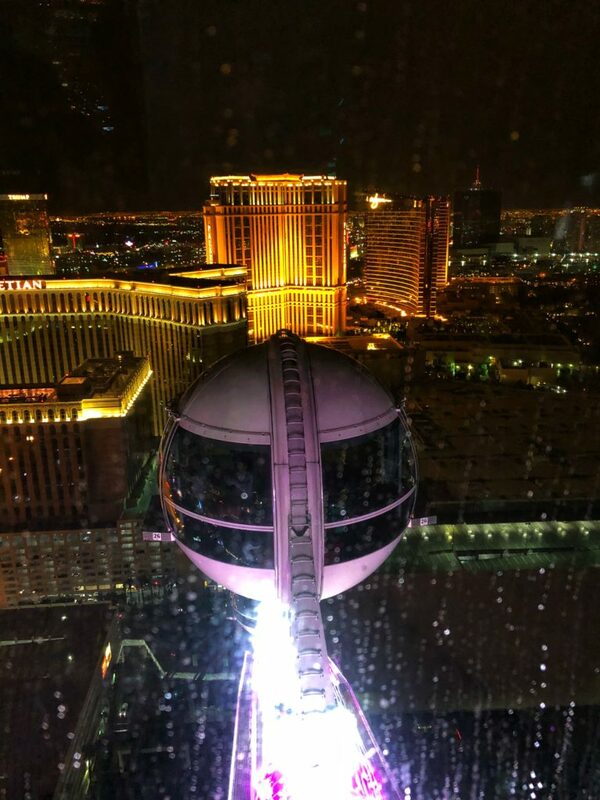 This article is Awesome Views High Roller Las Vegas. 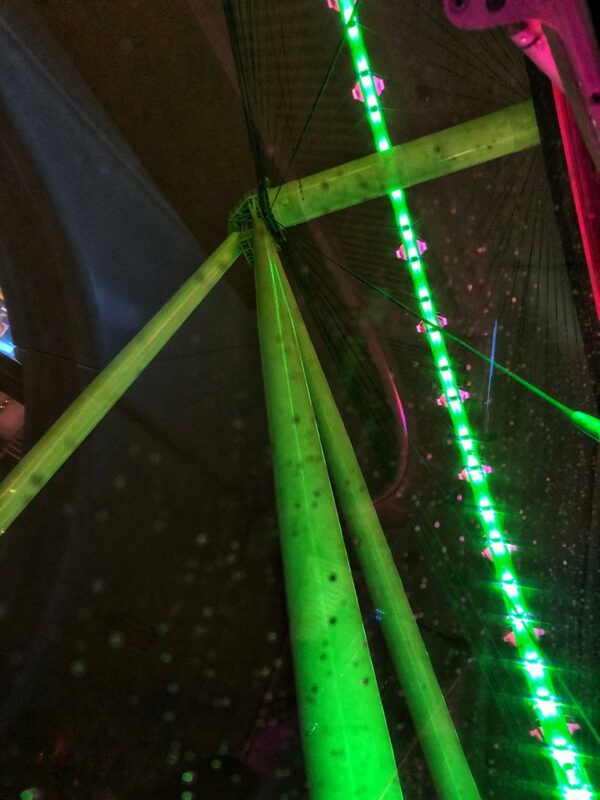 It covers my experiencing on the Las Vegas High Roller Ferris Wheel at the LINQ. 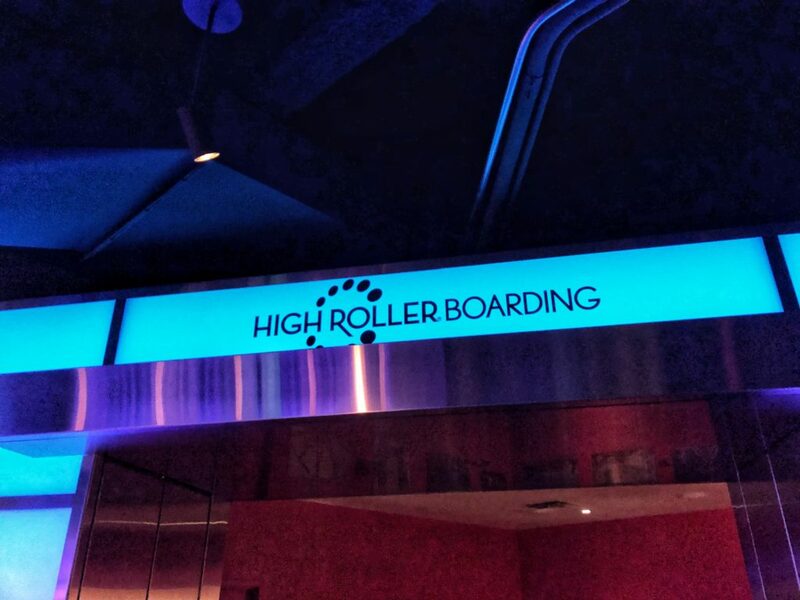 The review of the High Roller Las Vegas is part of my Las Vegas Winter Experience. 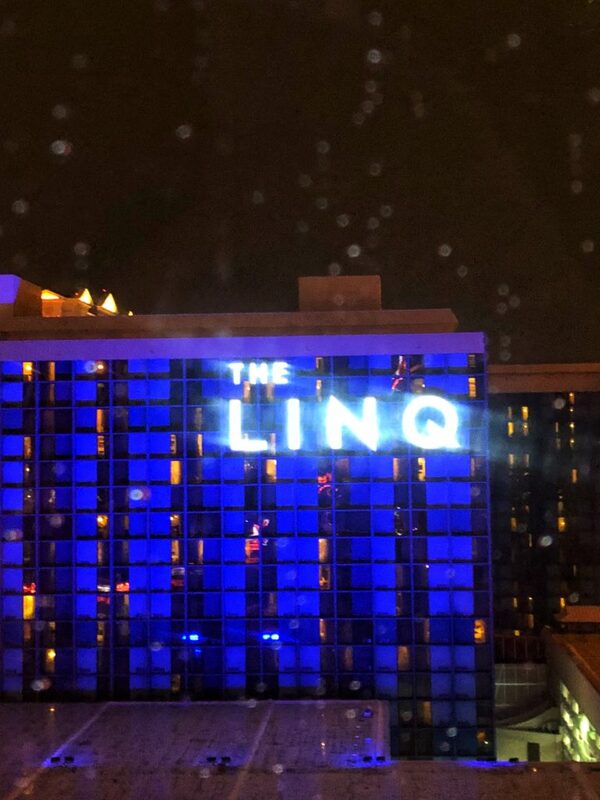 The High Roller is the focal point of The LINQ Promenade, the open-air shopping, dining and entertainment district, that redefines the iconic Las Vegas skyline. 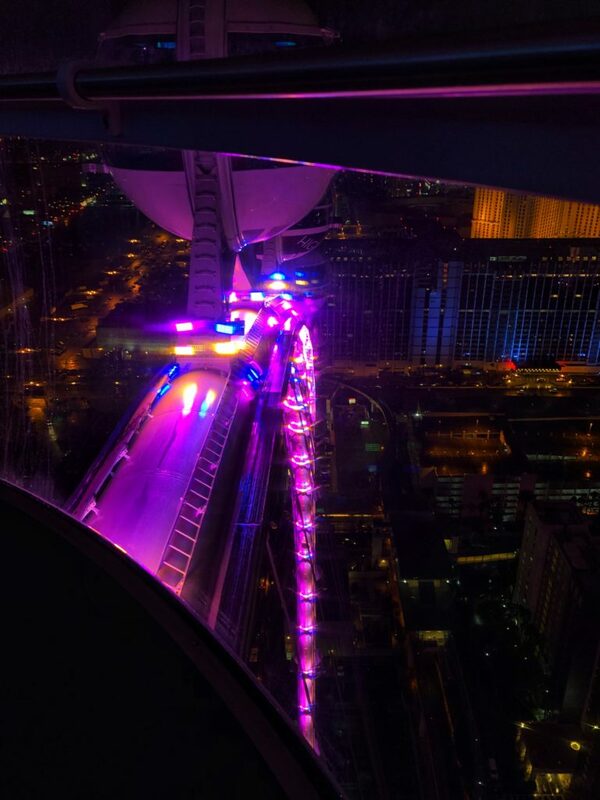 Topping out at 550 feet, the High Roller is the tallest observation wheel in the world. 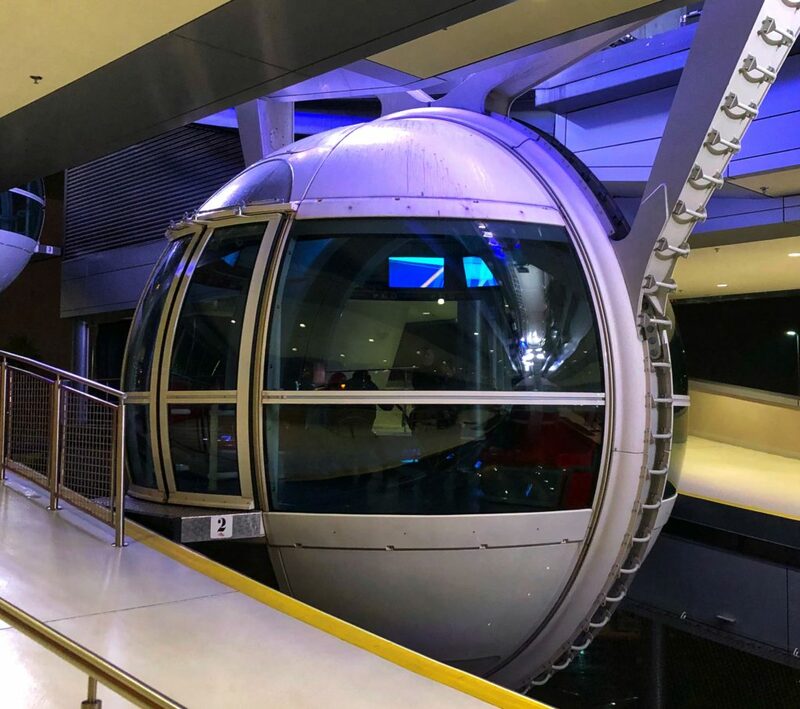 The High Roller Vegas is an Observation Wheel is an incredible experience that is available daily between 11 AM and 2 AM. 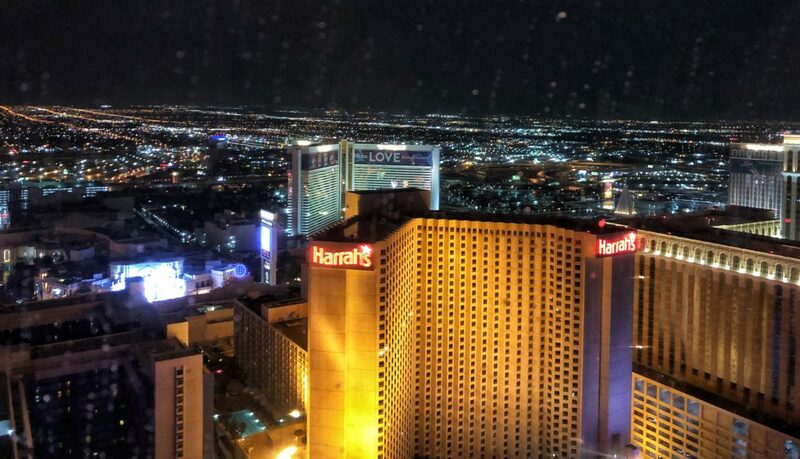 The attraction offers amazing views from daytime to night as you experience the incredible Las Vegas Strip. 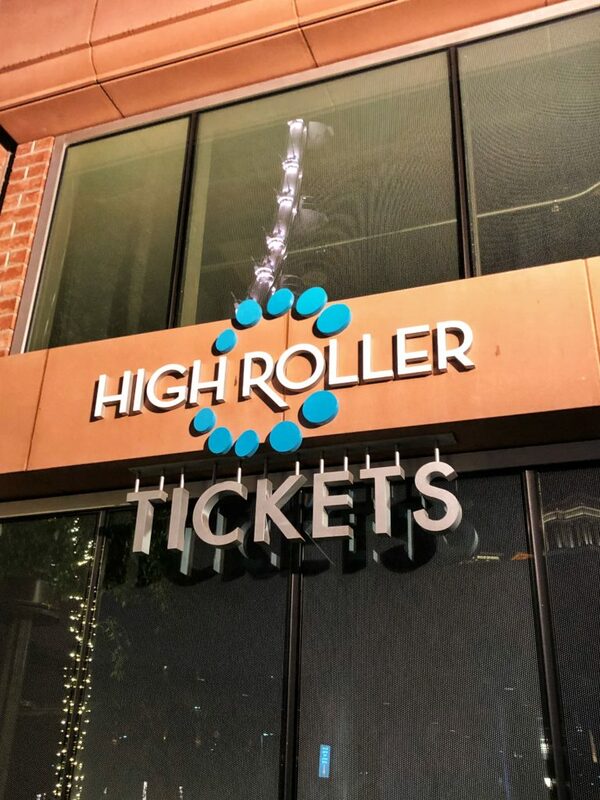 You can buy tickets for the High Roller onsite for general admission run $25 during the day or $37 for anytime or night views. If you book your tickets in advance, you can get them for as low as $19.99 here. 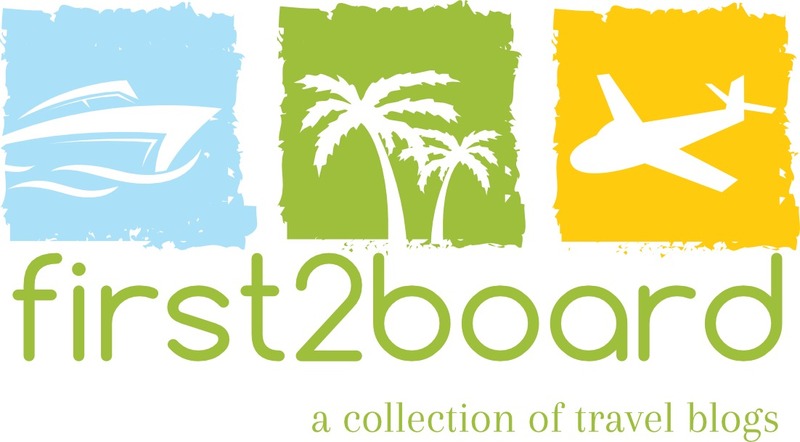 Happy Hour options allow you the ability to have in-cabin open bar for the 30 minutes with advanced tickets for as low as $35.50. Alternatively, you can purchase them at the attraction for $40 during the day and $52 at night. 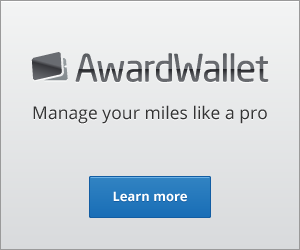 I’d recommend saving some money and booking them in advance using one of the two links. 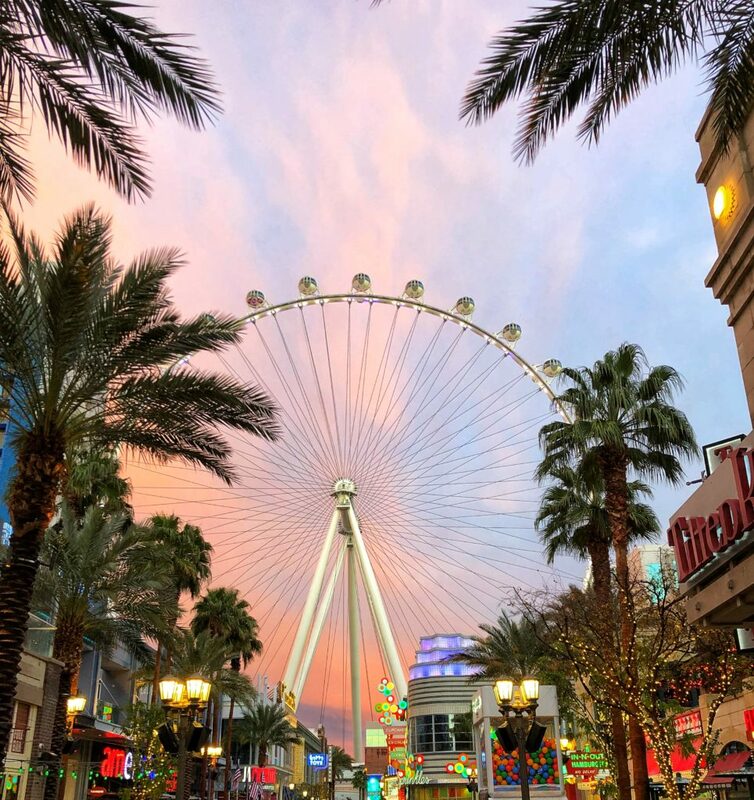 You can even book a Yoga class on the High Roller or have your wedding party on the High Roller! Note: Caesars Entertainment provided a complimentary general admission ticket for my High Roller Experience. The views expressed in this article are my own. 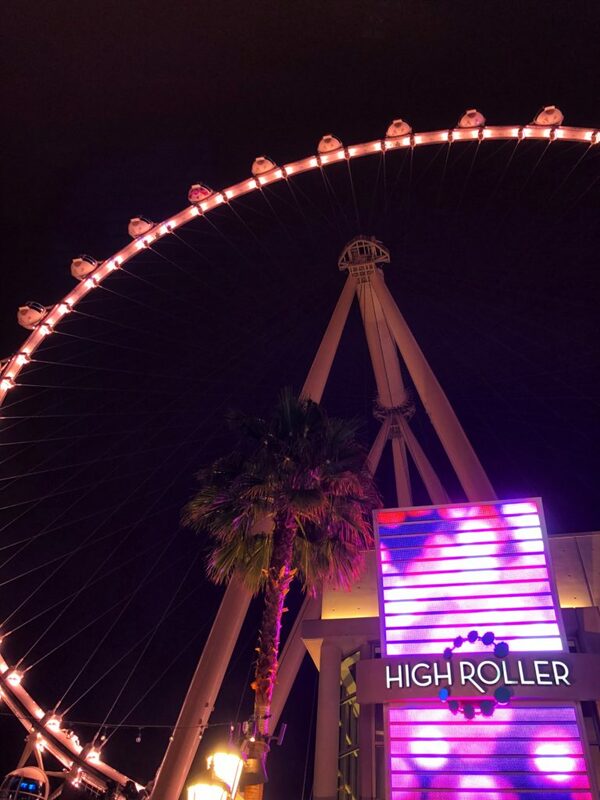 The High Roller is located in The LINQ Promenade which is center strip in Las Vegas. The LINQ Promenade offers numerous food and beverage options. 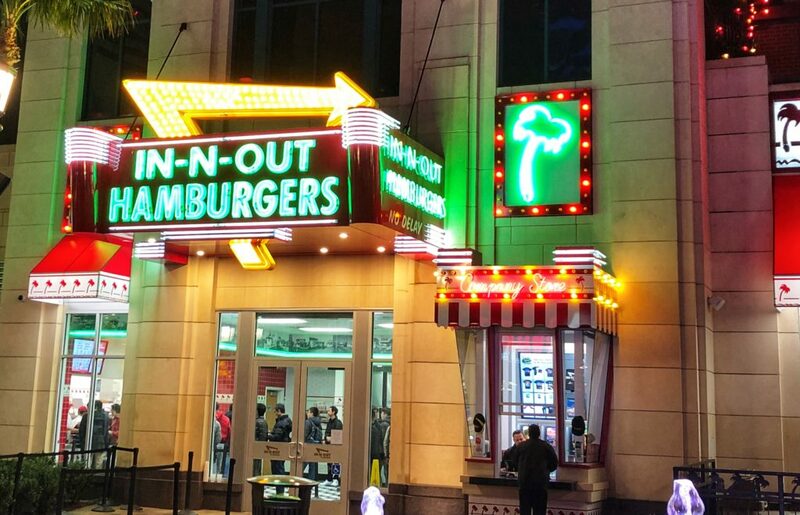 There is even an In-N-Out available on The LINQ Promenade. 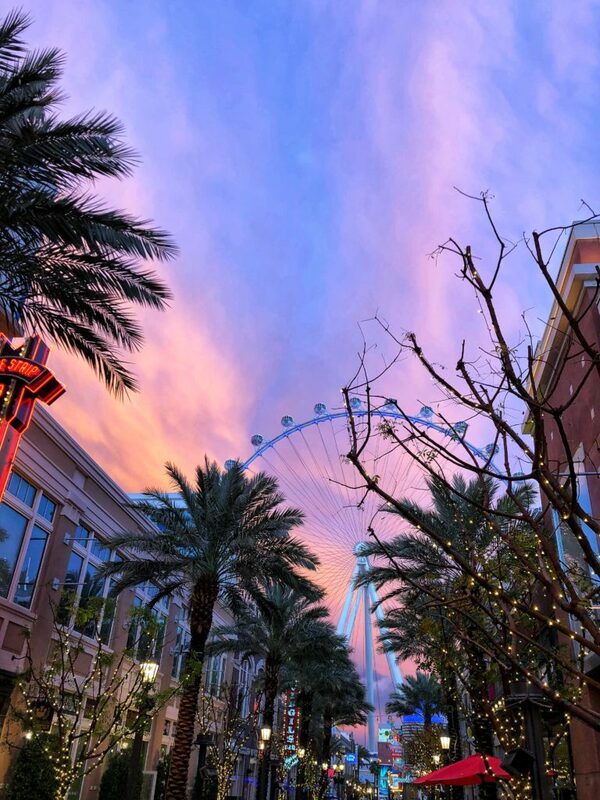 You will find something for everyone at The LINQ Promenade. 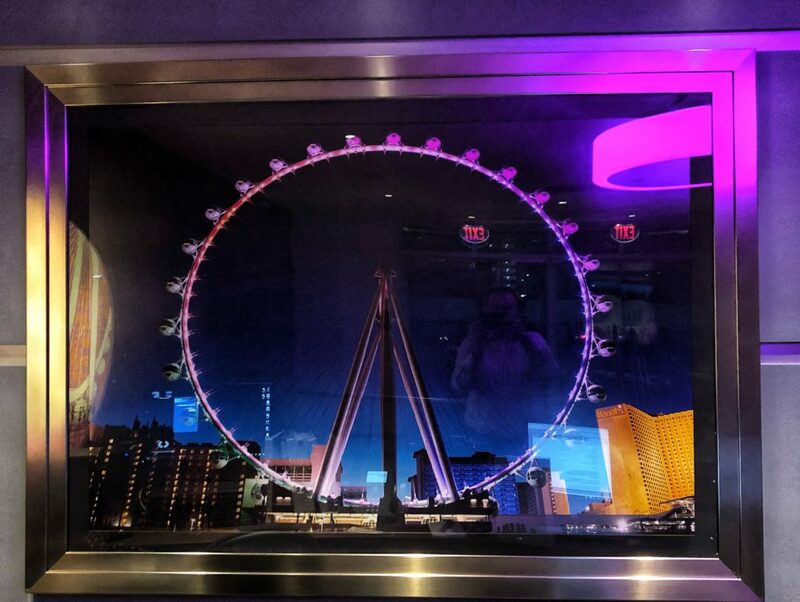 I arrived at the High Roller at night for a night experience. The lobby and check in area had some cool artwork. Once I had my tickets, I was invited inside and first went to a photo station where your picture is taken. 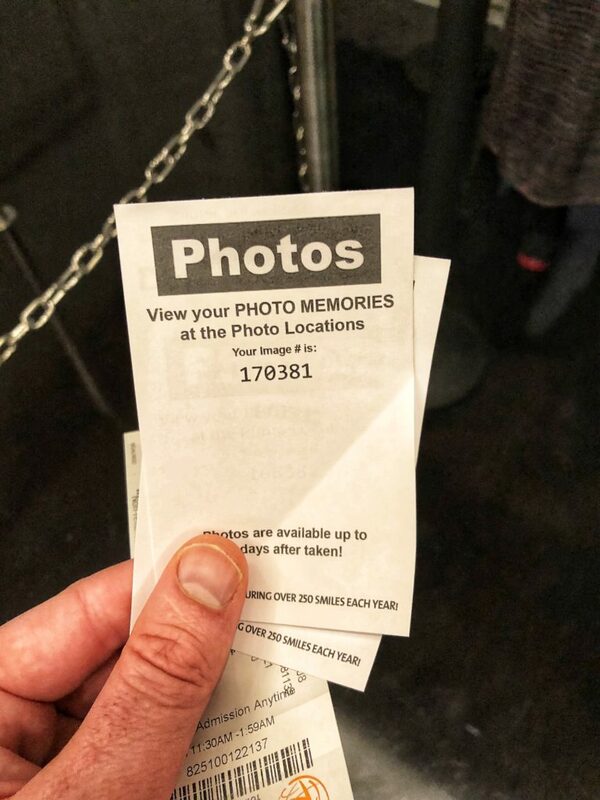 After the picture, the staff provides claim tickets which makes picking you and purchasing your photo easy. I proceeded to the boarding area. 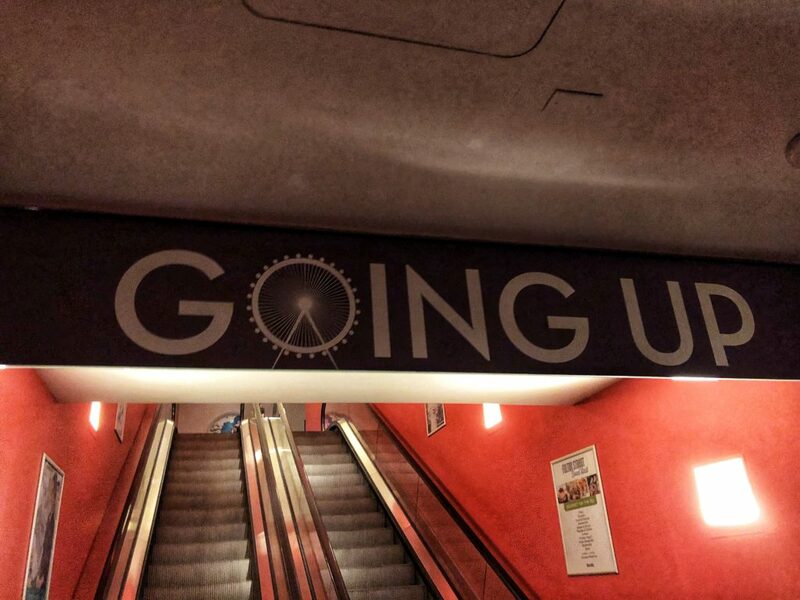 I followed the signs up to the area. 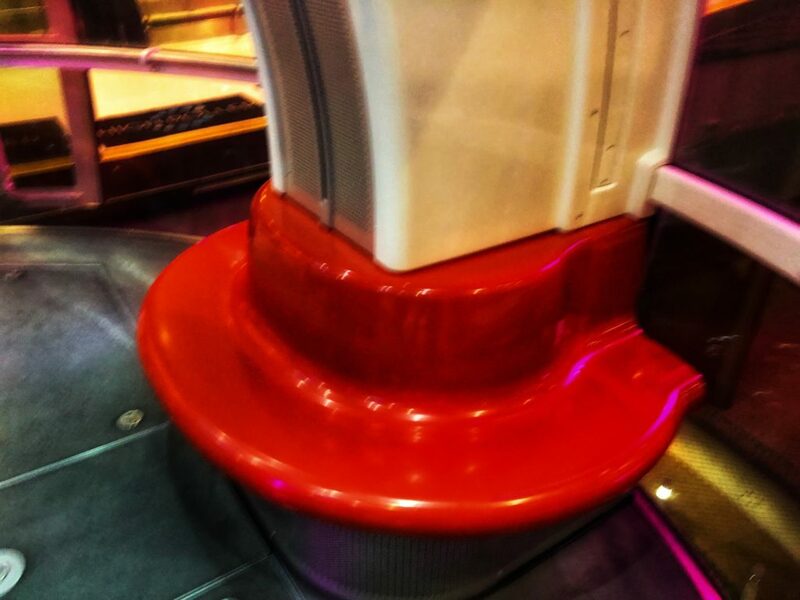 Just before going to the boarding platform a bar is available so you can enjoy drinks on the attraction. You also have the option of doing the Happy Hour where you get your own bartender in the car. But for those that do not purchase the Happy Hour, you can find some great drinks in the bar. I saw a few people purchasing the signature globe which you get to take home after the experience. 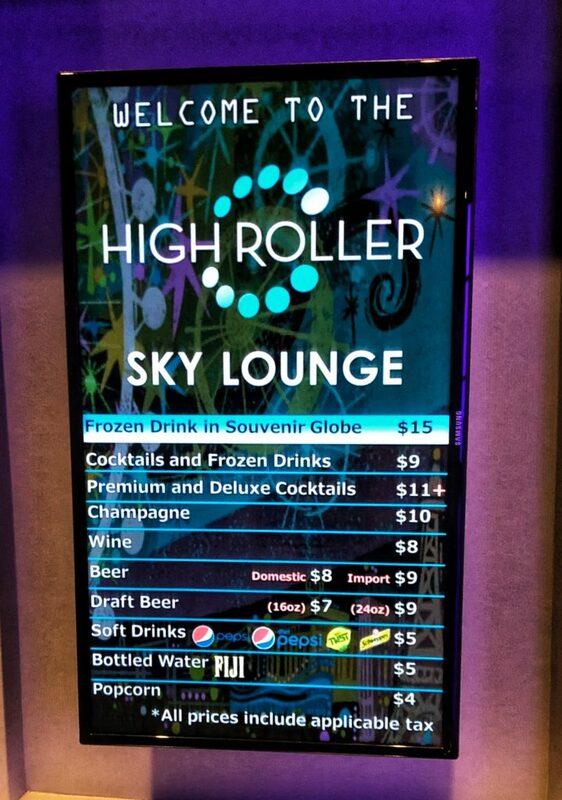 After departing the bar area for Awesome Views High Roller Las Vegas I made my way up to the boarding area. The agents reviewed your tickets and segregated you into two lines depending if you were on the Happy Hour Package or not. Since I did not have the happy hour package, I was asked to wait on the left side. Within one minute a car was ready for me and about 12 other guests in a shared car. The car offered a red seat or you could stand for better views. 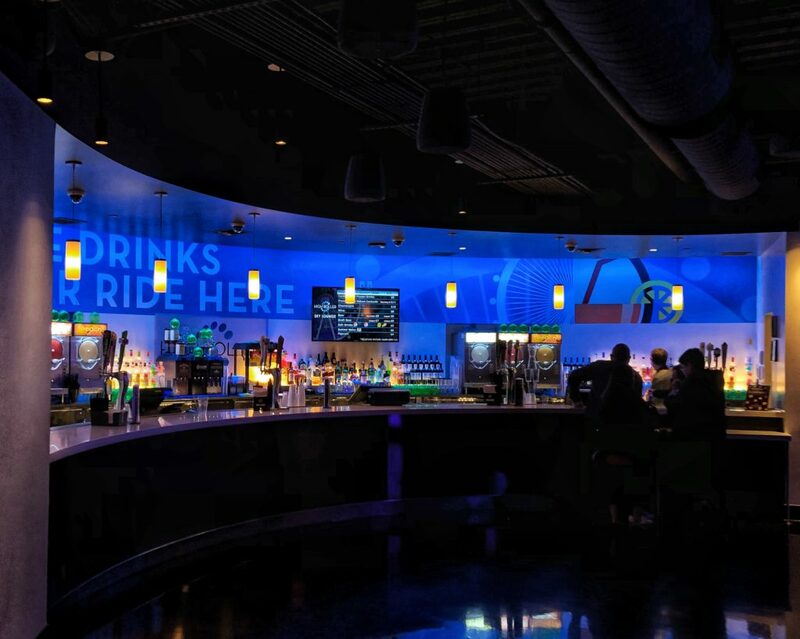 If you purchase the Happy Hour, your car has a bar and bartender inside. 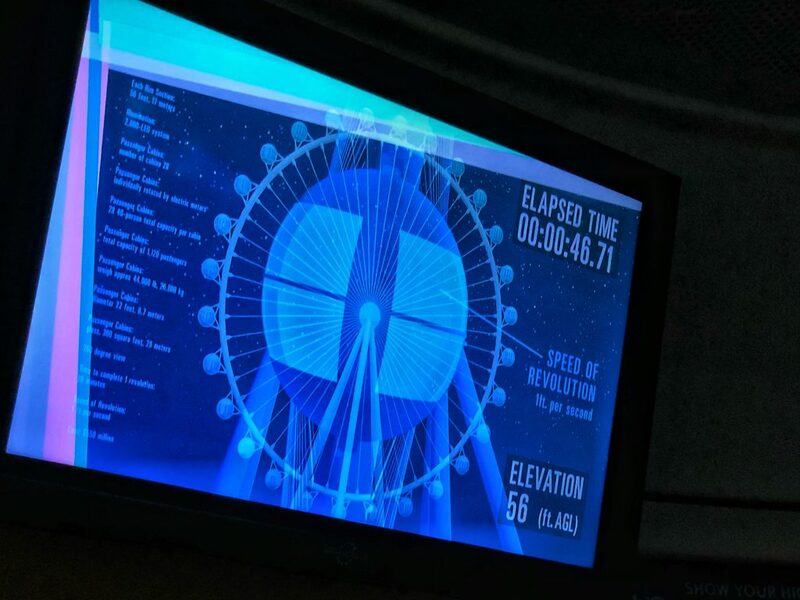 Each car featured information screens that provide a narration as the the ride progresses. Once the car was loaded and the doors closed, the ride began. 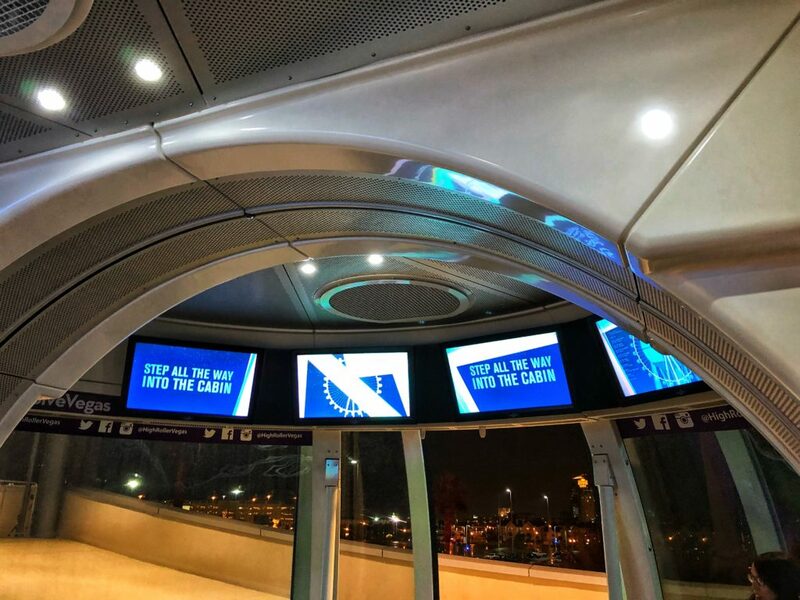 An audio and video program played with information on marketing info about things to do in Las Vegas. The ride duration was about 30 minutes. The 30 minutes gave plenty of time for looking out the windows and taking in some amazing views. Once the car was at a certain level, the skyline came into view and I was able to take in the amazing Las Vegas Strip. 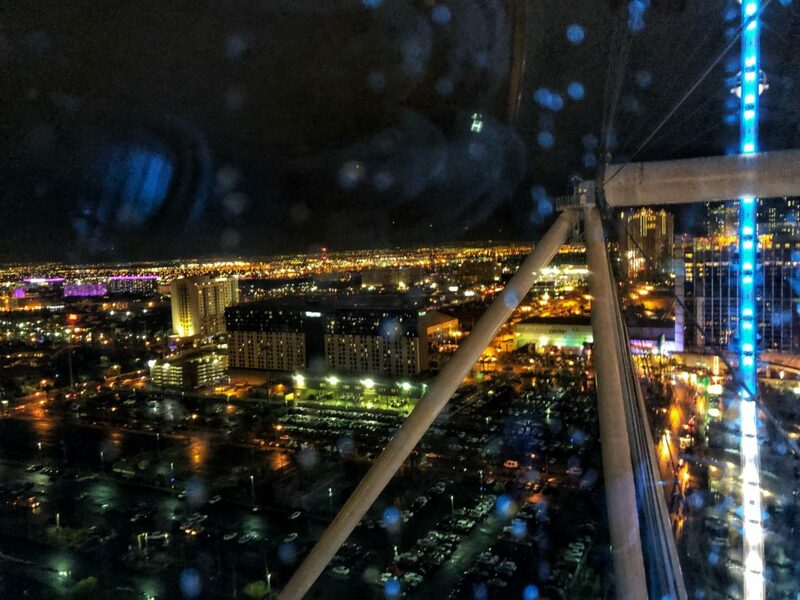 About halfway through the attraction, you reached the top, which offered the best view of the city 550 feet up in the air. 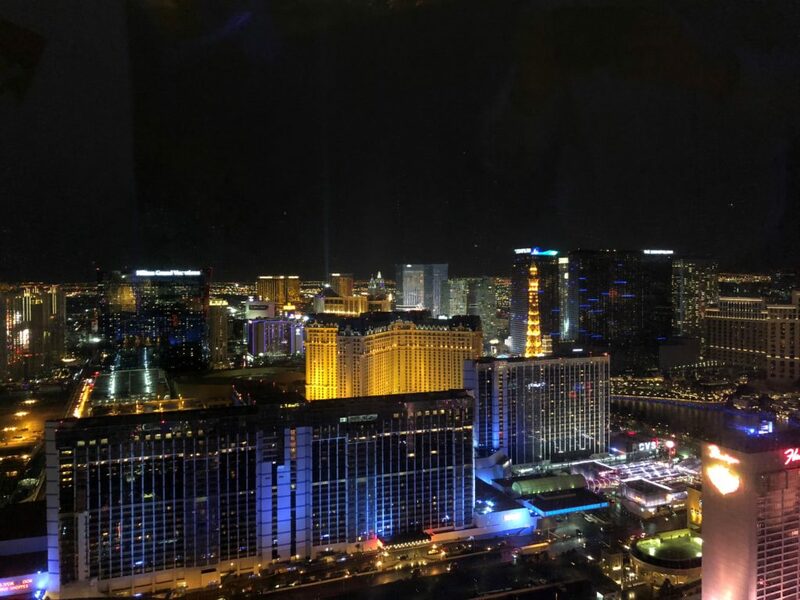 The views of the strip were excellent with the city light up. The experience was awesome and the audio and video program provided good information about the city. 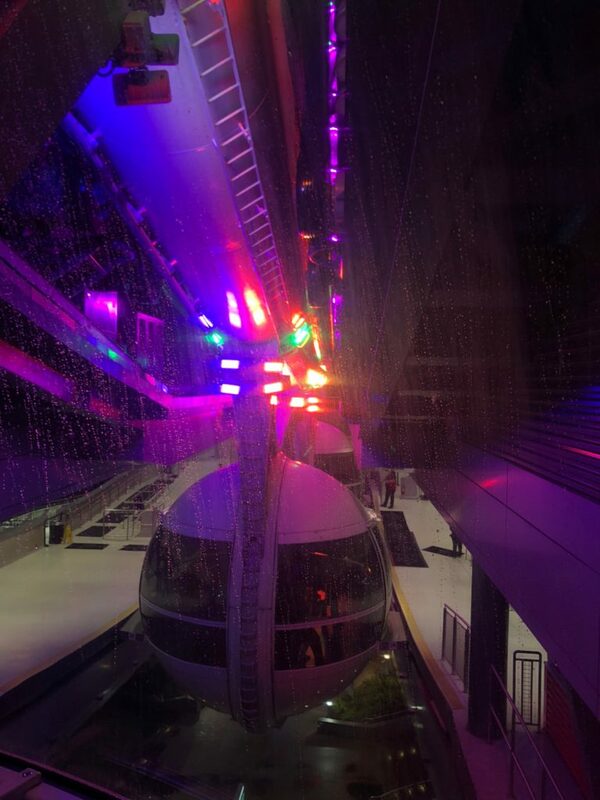 The High Roller continued back down to the station and you could take in some additional views. After 30 minutes, the car was back into the wheelhouse. The staff greeted guests and helped them to exit the attraction safety. The exit path led you to the photo area where you could purchase your pictures. I didn’t check out my photo but the ones I saw looked pretty cool. 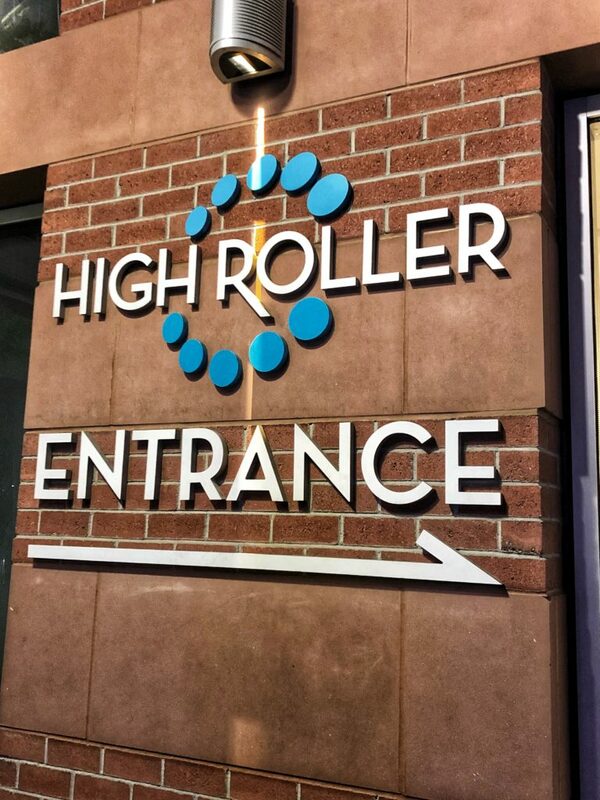 After the photo area, you could exit the High Roller via the gift shop, which is common for most attractions these days. The experience was fun and I enjoyed the High Roller. I really enjoyed my time on the High Roller. 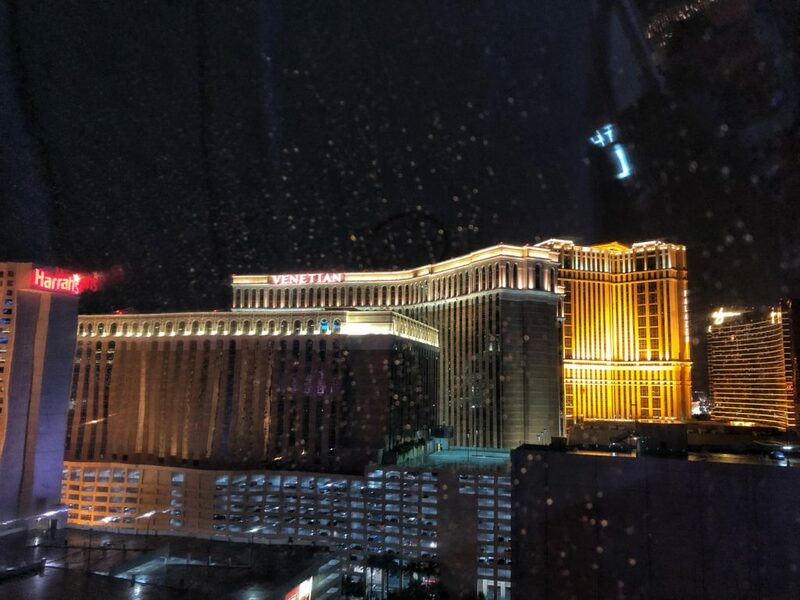 From a cool experience in the car to the great audio and video program providing information on Las Vegas to the amazing views. It was an incredible experience. 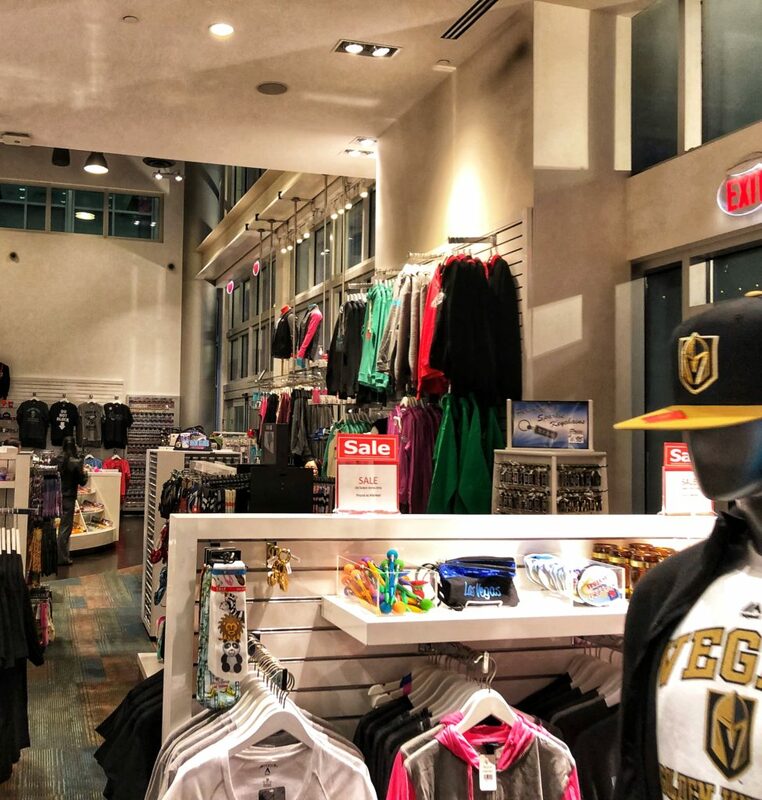 I would highly recommend the attraction for your visit to Las Vegas. The one thing that I thought could have been better was the car I was in was shared with about 11 other people who I did not know. The attraction wasn’t very busy at the time and I saw the car right after me only had two people in it. It would have been nice if the number of guests were spread more evenly so there was more room in my car. 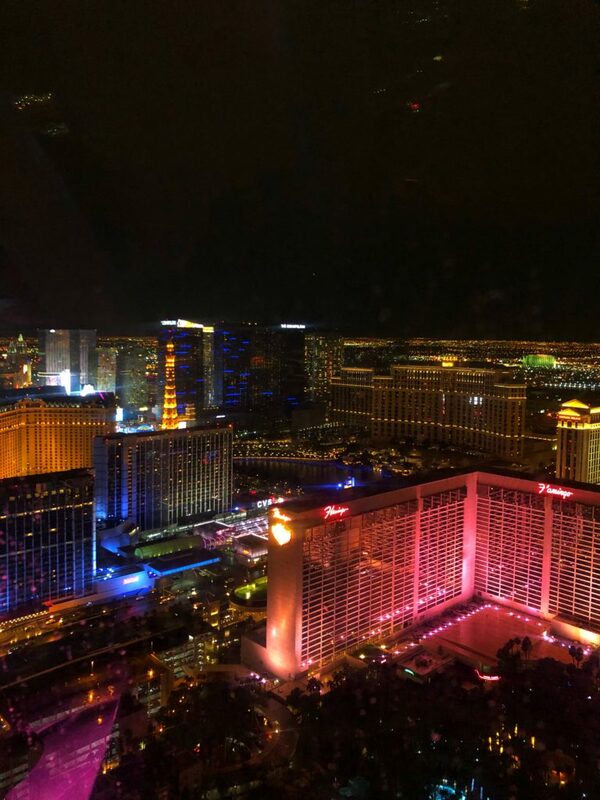 Despite that, I felt the views were incredible and I would love to experience the High Roller again during the daytime for a different experience. 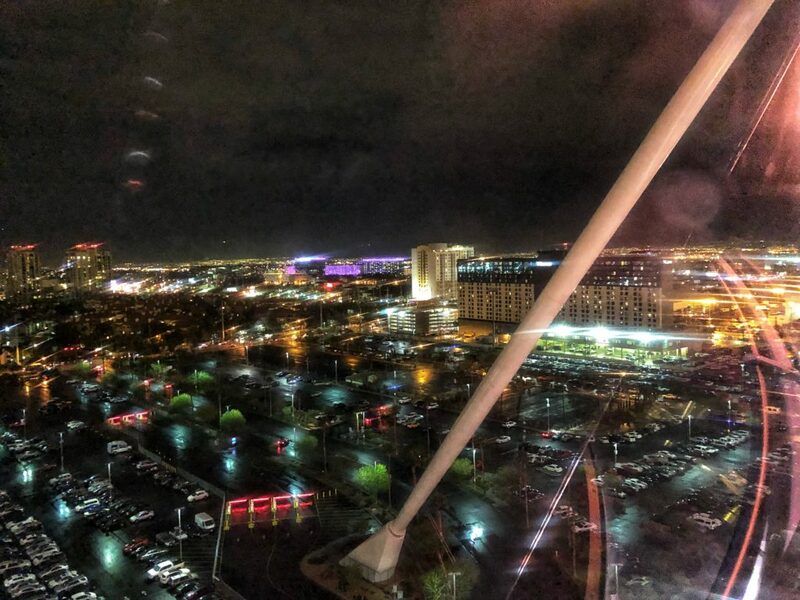 Have you been on the High Roller? What did you think? 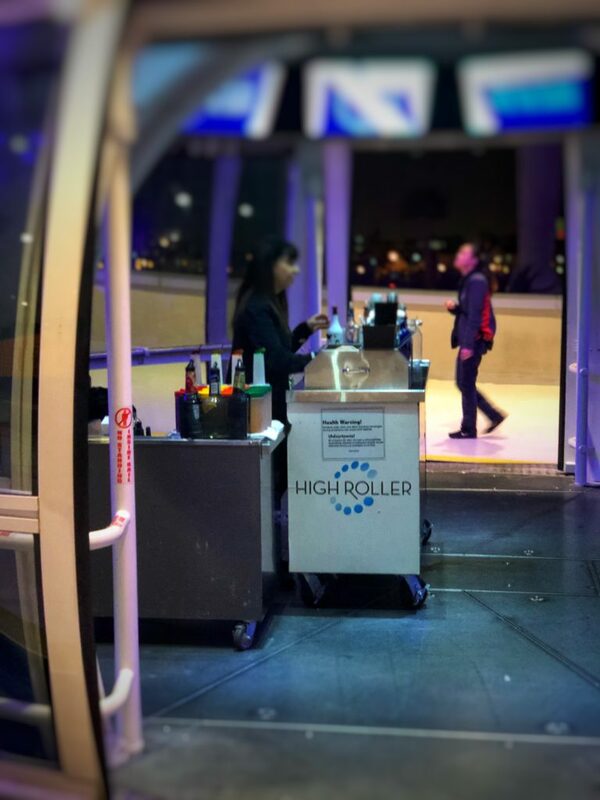 Get discounted tickets to the Happy Hour on the High Roller via TripAdvisor. 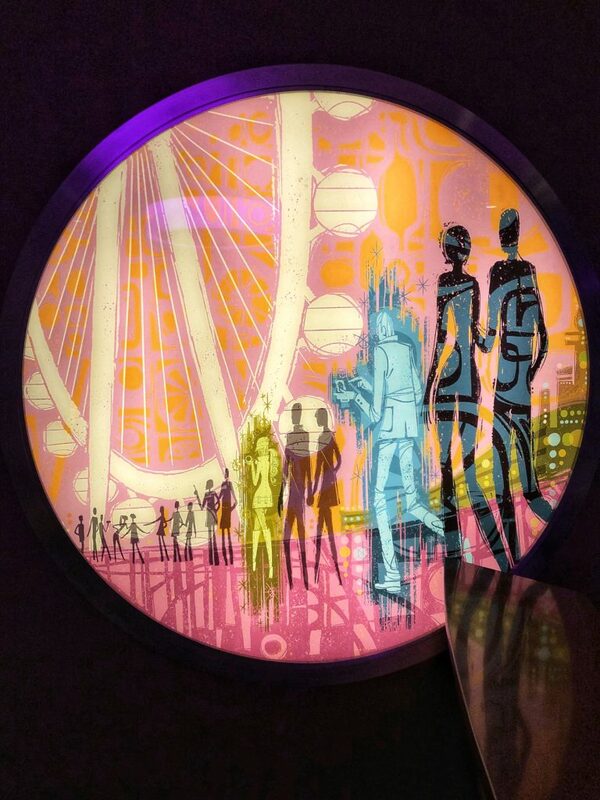 Get discounted general admission tickets to the High Roller via TripAdvisor.